When I was in high school there was a movie called Adventures in Babysitting. I loved that movie. It was great fun and I always wondered how it would be to have such adventures. Well I'm getting a taste of one kind of adventure as we are experiencing Adventures in Cooking. Those of you who know me will know that my kitchen and I do not have a great working relationship. There is a sign in my kitchen window that says "My next house won't have a kitchen only vending machines". I know how to make a handful of things well and that's about it. One of those being lasagna and I make that only once a year. I'm not necessarily opposed to cooking per se it's that I'm more opposed to the cleaning up. Why mess up a perfectly clean kitchen when there are plenty of qualified people in restaurants who will prepare the meal better and clean it up? That has always been my philosophy. When my girls were little and messy eaters we would eat out for the sole purpose of not having to clean it up. Yes I know that's rude, but listen I always tried to clean it up a little and I'm a good tipper. Think of it as my way of helping the economy. As you may know from a previous post, my husband and I are having a "total money makeover". Dave Ramsey is our friend, in the loosest sense of the word as we have never actually met him. The main thing I know about him is that A. He is helping us tremendously financially and B. He likes to wear blue shirts. My husband thinks he's a genius. Dave recommends E-mealz, so we are now doing E-mealz. If you do not know what this is, it's a website that will plan your dinners for you and give you a shopping list so you know what you will need to prepare each meal. 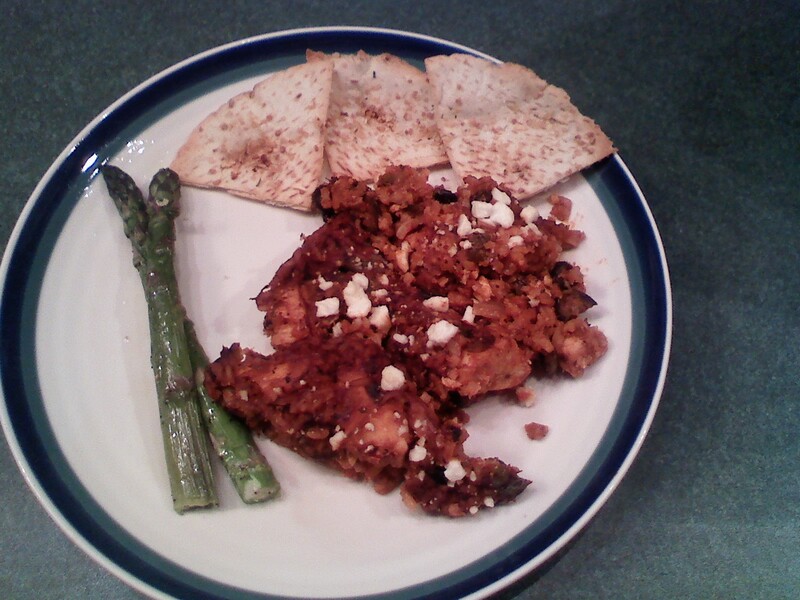 E-mealz means I have been cooking... a lot. I have been grocery shopping frequently and eating in much more frequently than ever before. Perhaps this is good financially and also more healthy, but before you decide let me give you some of the meals that have been introduced to my children. Orange pancakes were last nights meal. This was good but not perhaps as orange filled as one would think as it called for orange zest. Do I own an orange zester? No I do not. Do I have one clue how to go about zesting an orange? No I do not. I did however, give it a good old college try using what I had around. There was not the amount of orange zest in the pancakes but they were tasty and well consumed nonetheless. I thought I would start with one that got rave reviews so you wouldn't think I was a total ninny. 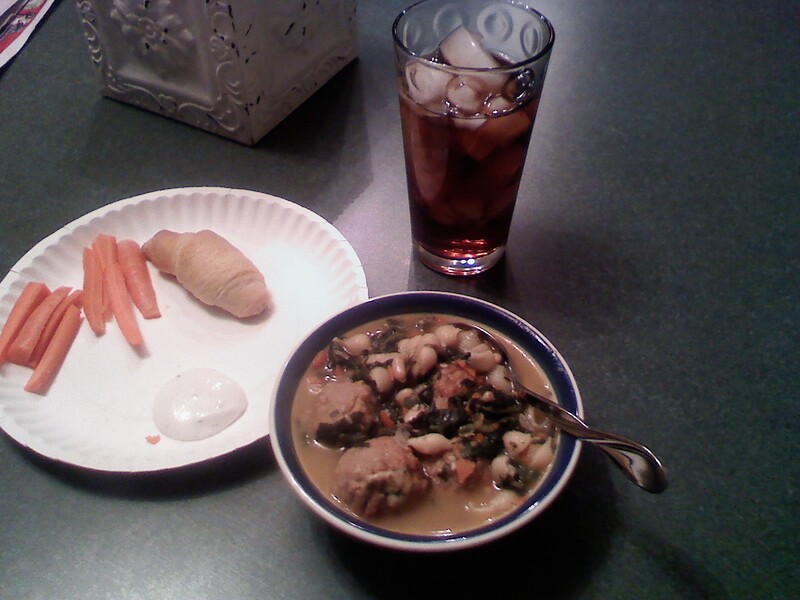 Now I will tell you about some of the lesser meals that although tasty for my sophisticated palate were not some of the high points in my kids top ten of favorite meals. Quick Italian Wedding Soup was the first meal we tried. I thought it was tasty, the kids not so much. They seem to have trouble getting past what things look like. If I were to blind fold them at meal time, I'm convinced they would always eat what I prepare. As it was something new and I was sure that no one would believe that I had created such a thing in my kitchen, I took a picture of it. It doesn't look too frightening correct? Now below you will see an image of another not so popular with the children meal. I thought is was quite good. 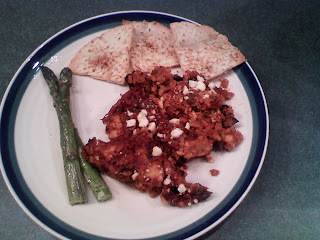 Greek Chicken Casserole. After begging with them to try the asparagus and refusing to let them leave the table until they took one bite, I tried one I was sure they would love. They did love it. The oldest was a little leery of the sweet potatoes and I had to convince her that she does love them, she merely forgot. She thought this meal was her favorite. I will admit that I have never before cooked sweet potatoes and had to call a friend to ask her how to cook them. 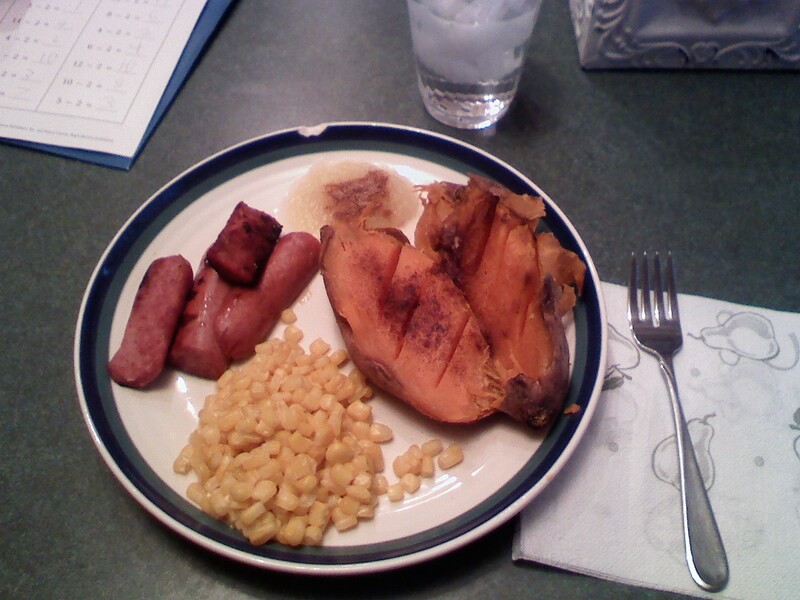 So below you will see a picture of pan seared smoke sausage with steamed corn, baked sweet potatoes and applesauce. All in all it has been an interesting experience. We are all trying new things and stepping outside our comfort zones as they say in the area of food. After all, instead of eating a frozen pizza or spaghetti with Ragu tonight the poor little darlings are going to be subjected to "Old-Fashioned Pot Roast and Veggies" with dinner rolls. This should go a little better than the Spicy Sausage and Cauliflower soup they received earlier in the week. So the question is no longer, What's for dinner? or "Where do you want to go to eat?" It's more of a "What new "real" food are we trying tonight?"